I am a passionate graphic designer, currently a third year at the University of Minnesota. I’ve been in love with illustration since as long as I can remember, but recently have been getting more into photography and UX design. I still have no idea which area of GD I’m going to specialize in, so I’m trying every area of design I can until I find something I want to pursue as a career. In the meantime, I’m loving UX and creating human-centered products that make people smile! For week one, we performed a large amount of our initial research. Along with meeting everyone for the first time and aligning our schedules for the summer, we were given a brief project overview to begin researching before our first client meeting. Our project involves introducing AR into the paleo exhibit at the Minnesota Science museum. We began researching articles ranging from museum topics to more generalized UX guides on how to successfully extract information from clients and research. Each team member was given a different set of readings for more obscure topics, so we could later exchange information in the form of individual summaries. We tackled more information as a team and better our understandings due to a combined divided effort. We then began prepping for our first client meeting be compiling relevant questions and targeting them towards appropriate staff members at the MSM. This week was a bit less individualized, so I can’t report too much on unique individual efforts apart from my two museum articles. In one of my articles, I was learning about guided AR in museums, in which the AR helps guide a user through an experience. In this case, it was found most people do not spend sufficient time to read or digest the informative content in museums, causing participants to learn a lot less from the exhibits they are viewing. Keeping this in mind for the future of our project will allow our team to better utilize AR in educating the client on paleo-based subjects while simultaneously entertaining them. :) I am very excited to see where the team can take this project and can't wait for week 2! Week two began with a group digest from the museum, analyzing the answers to questions and figuring out how to extract the information to tailor our plan for the project. The museum staff were very helpful in being clear about their wishes for the project, not only offering sample ideas, but also giving examples of what they don’t want. I must admit, some examples they mentioned disliking were ideas that immediately popped into my head when we were given the project brief, so it was awesome they were so transparent and straightforward (and further confirms the theory that one’s first ideas are the worst ones). Apart from research on methods and wrapping up the museum visit, we also began to learn Adobe XD, as this is the program we will use for our wireframing of the application. This is the part I’m most excited about, as I love interface designing. I have had a chance to poke around in XD, learning how to operate the program easily. In the past, I have created professional wireframes using Figma, so learning a sister program was very easy for me, and I can’t wait to get into wireframing! This week was more hectic than the last two combined! As we now have our agenda, we must conceptualize the project in a way that we can break our progress down into weeks more accurately. This called for not only estimating how many weeks we’d need to do certain tasks, like prototyping, but also planning out trips to the museum, aligning everyone’s schedules, and composing research questions that will help collect useful data to shape our project with. The issue pertaining to the research questions stems from our current lack of understanding regarding museum visitors. We have seen the space, but on a slow day in which we were more focused on the museum directors and paleo exhibit expert than the visitors. Due to this, we have lots of information from the museum and are focusing on the details when we should be stepping back and looking at the bigger picture. Our awkward schedules have made it difficult to coordinate in person, but by the end of the next week, we will have our questions polished and observations at the museum done. Thankfully, our biggest issue right now is too much passion in the project, causing many of us to dive into the project before we have formulated a solid plan. After our weekly recap and reorganization of research questions, our efforts will be much better redirected into a better project scope. -other general notes we figured could be helpful in the future. My role was observing verbal interactions between participants. I was paired with Liam, who was observing nonverbal interactions, to follow families and couples around the exhibit. It was kind of fun to pretend like we were looking at the exhibits, but really following the families. We almost got caught a few times, especially when a family doubled back, but we were able to remain undetected. Now that we have this data, we will use it to create a conceptual map of our idea and being prototyping. On to week 5! Week 5 was both a challenge for the team, but also an opportunity to begin working on the prototype. Thanks to our past research and information on our target audience, the ‘design’ side of our team, Liam, Andrea, and myself worked on the interface of the prototype. Our week was challenging due to many members being scattered due to the 4th of July. We learned how important communication and proper scheduling would help us in the future, as this week was tough to find time to all work together. Andrea has been awesome at taking high quality pictures during the internship, allowing us to have great photography assets for building our prototype. We worked through our initial wireframe ideas, as seen below, to get a general understanding of the flow and reasoning behind each ‘screen’. Liam had been researching more on Apple’s and Googles app development assets to allow us to quickly build our prototype. The Apple resources were new for me, as I breathe exclusively PC platform due to my drawing tablet/ laptop being a Surface Pro 4. I learned a lot from Liam about these new assets. 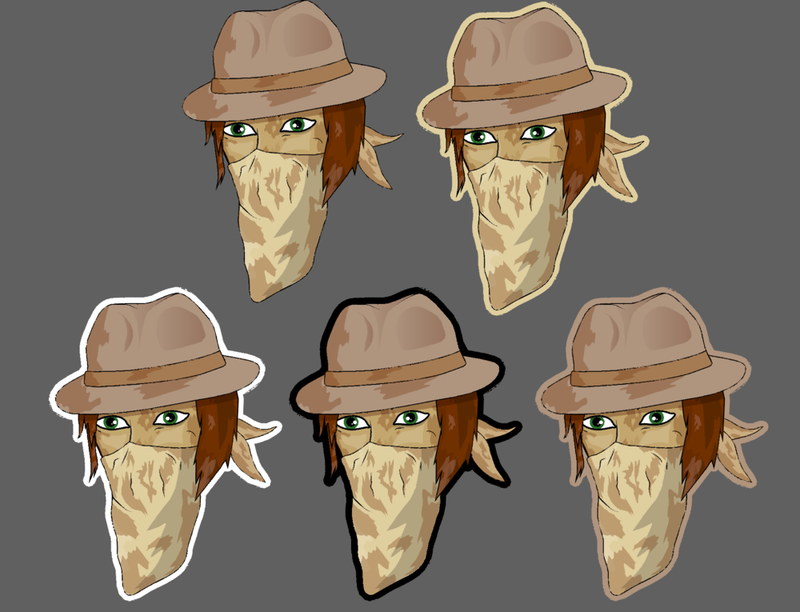 Our final first draft of our prototype can be seen below. My experience building user interfaces greatly helped us speed up the process of not only designing the initial prototype, but also streamlining features to make the app more usable for end users, even if that meant sacrificing really cool features for the greater good of the VR application. Liam and myself found out our main communication tool, Slack, allows users to ‘pilot’ each other’s computer screens, as Adobe XD (our prototyping program) does not natively allow real time collaborative work, giving us a new feature to utilize in the future. Even though this is not a ‘research’ week, I feel as If I have learned so much more by doing and troubleshooting than any other week: and unlike reading articles, I absolutely love it. I can’t wait to improve the prototype with the group and test it with users! Anna has also been a huge help for our career development, especially this week by scheduling a visit to Best Buy Headquarters. We met with Fred Beecher who not only gave us career advice in regard to our portfolios, but scheduled times with different UX professionals around Best Buy to show us a bit of the ins and outs of UX for Best buy. The Best Buy trip had so much information, it took us a majority of the morning to experience, allowing Anna to show us Lu’s, an AMAZING sandwich shop in uptown. A taste of UX and Vietnamese sandwiches all in one day- Thanks Anna, Fred, and all the UX professionals at Best Buy! After week 5, we had a big work week ahead of us. Now that we had a mockup prototype, Liam and I could start editing and adjusting the UI. We noticed the color scheme we set in place was not as in line with Elias's as we would've liked, so we started making adjustments to fit the feel of the paleo exhibit better. The more we made smaller edits, the more we saw errors in our other areas of the app, and started to question larger features in our app. Although we did have a basic concept map from the previous week, we decided to create some concept maps for our app to streamline the features. This week, we have been hurrying to complete the prototype as much as possible before our user testing on 7/21. Shreyas and Andrea are still working on the code, Liam and I on the prototype, and Sandy on user testing procedures, questions, and research. Liam has been mostly focusing on updating the user interface, while I am targeting some of the digital assets to illustrate. Aside from buttons, icons, and small gesture drawings, I have been working on two more substantial illustrations, the intro paleo guide and one of the 6 dinosaurs we will have in our application. The paleo guide was made to be a sticker, so that If the museum wishes to make stickers as promotional material, they can do so. To better fit the style guide, I have designed the dinosaurs with more of a semi-flat style. This picture is still a work in progress, but it gives a good idea of the final idea I’m going for. I’ve had to carefully pick colors from a given color guide and accurately draw a dinosaur off of a 3d model, but create it in a way that is visually appealing and matching the museum’s exhibit style guide. After I finish this dinosaur, I will have a much better Idea on how to design the other 5, giving me a very accurate style guide of my own. Who knows, maybe the museum could print these dinosaurs as stickers and sell them in the gift shop to help recoup the cost of buying equipment? This week was rather hectic. As we had user testing to do on Thursday, all of the assets had to be in order for the app to be test-ready. As the Illustrator on the team, it was my job to create 2d assets to represent the 3d ones the user would later see in the app. I was working with the same style as I used last week to create 3 additional dinosaurs (well, one is a fish), to best represent the creatures. You can see the rest of my drawings below. When we went into user test at the museum, we ran into some difficulties with the app not functioning the way it was the previous night. This caused us to push our testing back to the next week. Although this was a setback, we will still be able to complete the prototype in time with testing and edits. Thankfully, this week we were able do some sort of testing, as we did tour Crux Collaborative, a UX testing form located in Minneapolis. There, we met John Golden who not only showed us advanced methods of user testing, but also gave us valuable feedback on our prototype so we could make further edits to polish up our app before we begin user testing. Although the app is not perfect, we are much more prepared now for our user testing and hopefully will have less edits to make before our final presentation. This week as well as our next few weeks will be short in content, but filled with work. As we continue to code and design our app, we are on a race against time to finish our app before the final presentation. Speaking of which, I have begun to design the slides for the presentation, keeping to the style guide and cleanly outlying the process steps. I have attached a picture below to give you a sneak peek of the powerpoint aesthetics! This week, we have finished our last round of user testing, and aside from issues we already knew about but did not have time to fix yet, our feedback was extremely positive. We are continuing to work on last minute design fixes, as well as practicing our presentation happening on the 10th of August. This week has been an absolute grind, but I am positive that our app and presentation will be polished and perfected by next week! 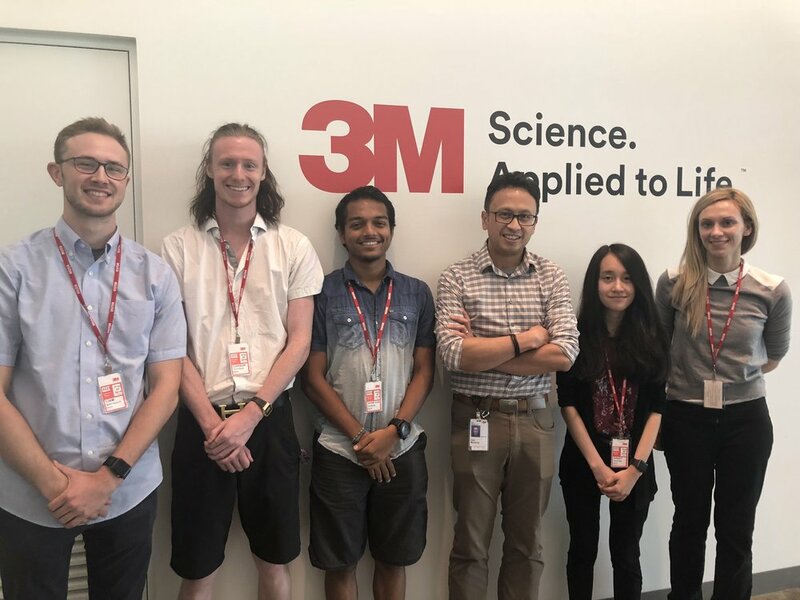 We also had the opportunity to tour 3M this week, where we met a bunch of awesome UX professionals that gave us an in-depth look at the UX process at a major company. Although I'm not allowed to share any of the details, we learned a lot of really cool new things! Our presentation and final app have turned out amazing! We had an awesome turnout at our presentation and live demo, and a lot of the people who have given us advice attended. Thanks to all of the museum staff, UX professionals we met along the way, and all of the staff at Praxik for making this such a rewarding internship!